Homemade hummus is very easy and very tasty. Plus, making it at home is economical and it doesn’t have all those pesky fillers and preservatives. 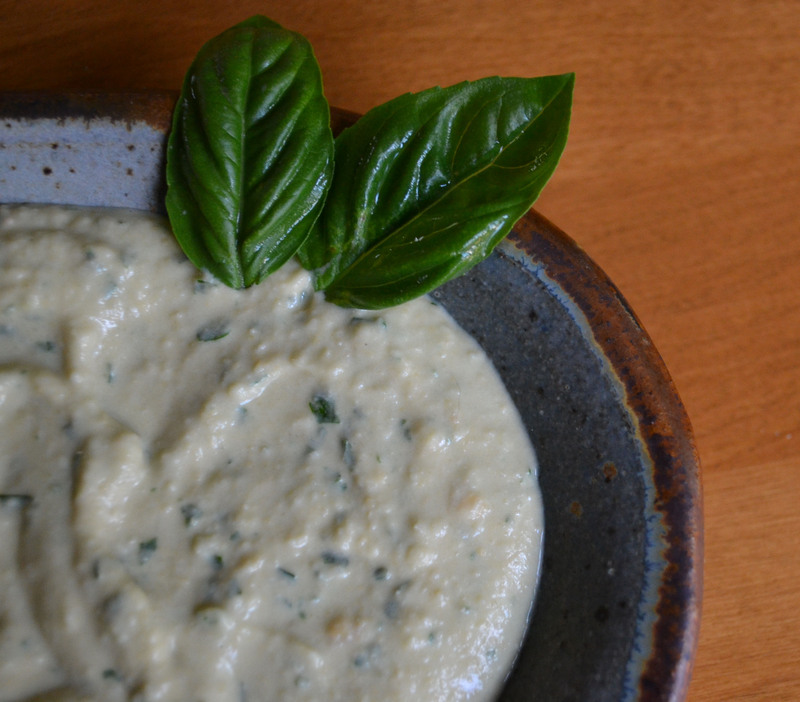 It does take an initial investment in tahini (sesame seed paste), but with just a simple whirl of your food processor…BAM, an easy dip or spread. This is also great for a quick lunch with some veggies or even to take on a picnic. Hummus also tastes great on sandwiches. One of my favorite sandwiches is hummus stuffed in pita bread with fresh tomatoes, fresh cucumbers, and feta cheese. Mmmm. Hummus is also very versatile. I love adding roasted red peppers, roasted garlic, or cayenne. However, in this recipe, I opted for a fresh kick and added basil from my garden. If you don’t have fresh basil, I would probably opt for adding a tablespoon of pesto instead. Personally, I don’t think dried basil would be good substitute for fresh basil in this recipe. But hey, you could give it a shot and prove me wrong. I dare ya. 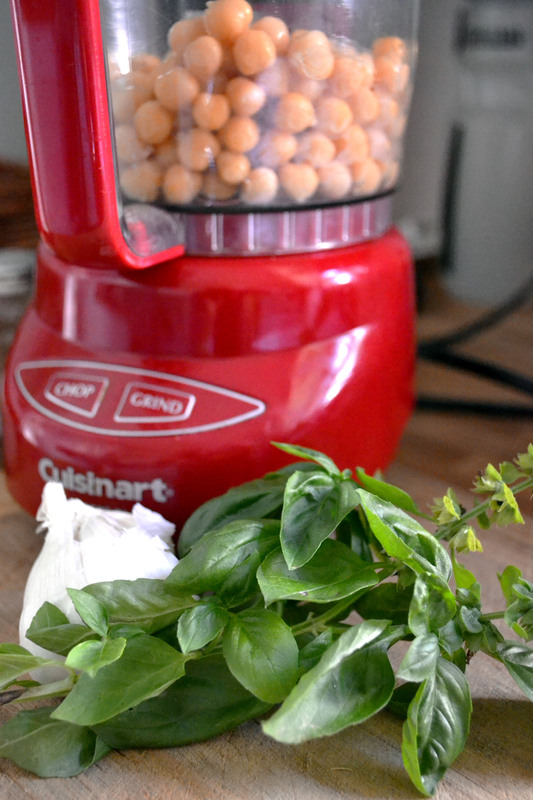 Combine garlic, beans, lemon juice, tahini, oil, and salt in a food processor. Process until smooth. Gradually add water until the dip has reached the level of consistency that you prefer. Scrape down sides of the food processor bowl to blend all of the ingredients as needed. Add basil and process briefly until creamy and smooth. Serve with sliced bell peppers, carrots, celery, and pita chips.